Established by architect John Peterson in 2002, Public Architecture is a San Francisco based nonprofit centered around the belief that design can affect social change. The organization undertakes public interest design initiatives, targeting problems of broad relevance that require innovative research and design in circumstances where both client and financing must be imagined in new ways. Through its innovative pro bono design program, The 1%, Public Architecture also encourages design firms nationwide to formalize their commitment to the public good. ScrapHouse was a temporary demonstration home built entirely of salvaged materials in front of City Hall in San Francisco for World Environment Day 2005. The project illustrated the possibility of materials typically considered junk. The U.S. building industry generates staggering amounts of waste—approximately 100 million tons per year or almost 40 percent of the national municipal solid waste stream. 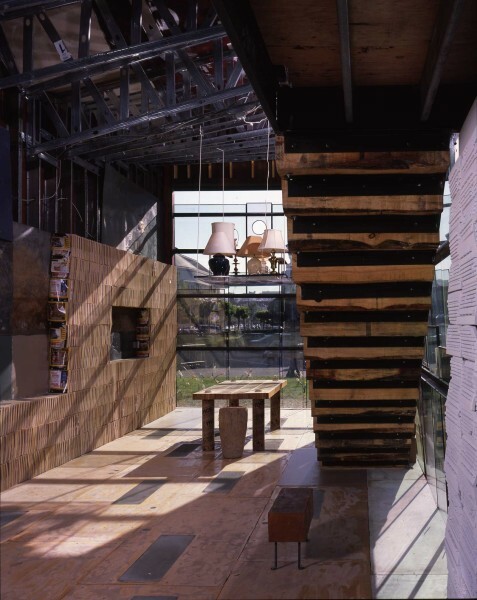 ScrapHouse sparked Public Architecture’s Material Reuse Design initiative and led to subsequent material reuse projects, including TAF Community Learning Space and the Design for Reuse Primer. 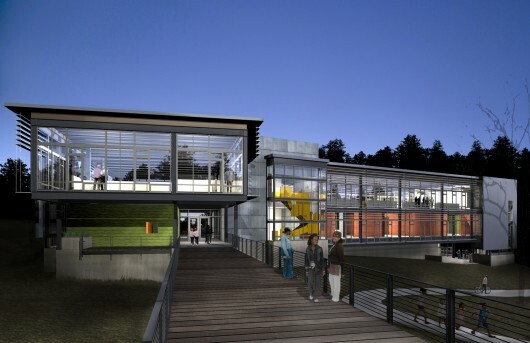 Public Architecture worked with The Miller Hull Partnership, project architect, on a new home for Seattle nonprofit Technology Access Foundation (TAF), to explore ways reused materials could be woven into the building. The new facility will provide technical and computer skills training to minority and disadvantaged youth. It will utilize reused materials in multiple capacities, from walls to flooring and furniture. By sourcing materials from locally demolished buildings, the physical fabric of the community will be woven into the building. The reused materials will also be incorporated into TAF’s education programs, allowing the building to be used as a teaching tool. The most recent component of Public Architecture’s Material Reuse Design Initiative, the Design for Reuse Primer (www.designforreuse.org) is a free and engaging electronic publication that seeks to inspire mainstream building material reuse. The Primer profiles a diverse group of 15 successful material reuse projects from across North America in order to demystify the challenges and to highlight the benefits of material reuse. Funded by a two year research grant from the U.S. Green Building Council, the innovative research project was guided by a diverse advisory team including representatives from the U.S. Environmental Protection Agency and the California Integrated Waste Management Board. Over 100,000 people look for day labor work (a day’s work for a day’s wages) each day in the U.S., typically in spaces designated for other uses, such as parking lots and street corners. 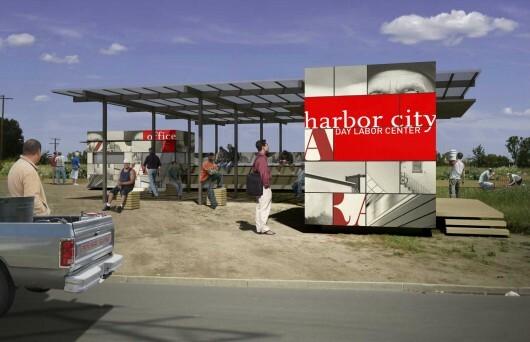 The Day Labor Station is a simple, flexible structure that can be deployed at informal hiring sites. The project utilizes green materials and strategies and can exist off-the-grid. 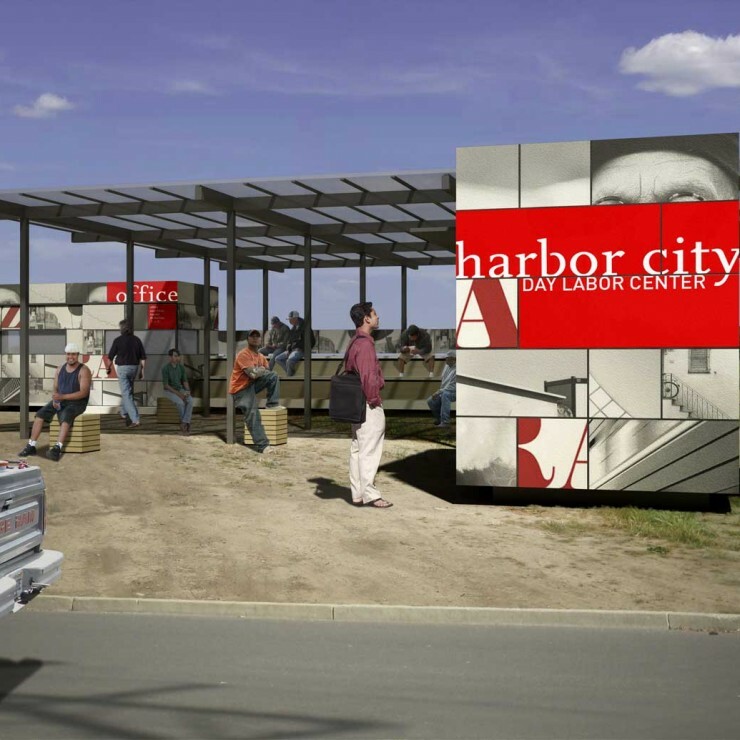 It provides sheltered space for the day laborers to wait for work and community resources like meeting and classroom space. The design is responsive, addressing the needs of day laborers and a creating a tool for integration between them and the wider community. This entry was posted in AAO COMMUNITY NEWS. Bookmark the permalink. Both comments and trackbacks are currently closed.